A modern cafe racer is the solution for those who can’t/won’t build there own cafe racer or just don’t want to have the maintenance of an old bike. Building your own bike is awesome, but also requires a lot of time, effort, skills, knowledge, space etc. 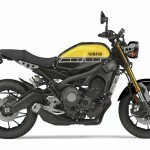 Since the scene for cafe racers is constantly growing, motorcycle manufacturers saw a new niche: the modern cafe racer. 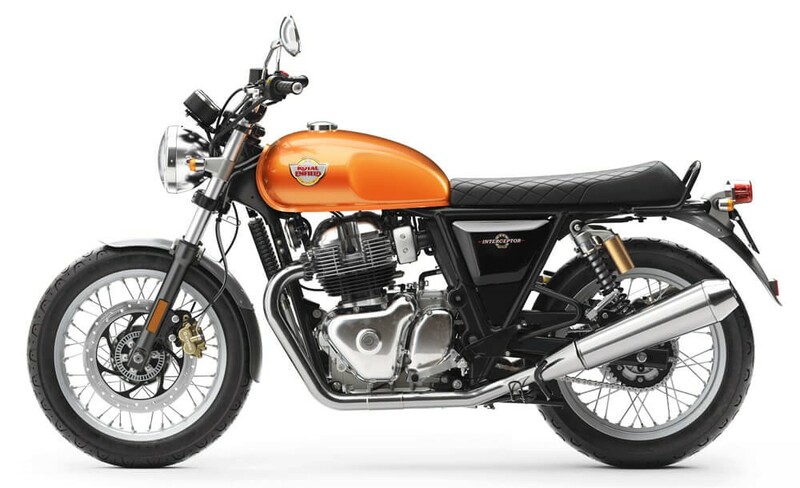 These are bikes with a classic look, but with the technology of a modern motorcycle like modern brakes, suspension, fuel- and electrical systems. While this post originally contained a list of 5 modern cafe racers, it organically grew into a full list without a specific number, plus some other cool modern classics. 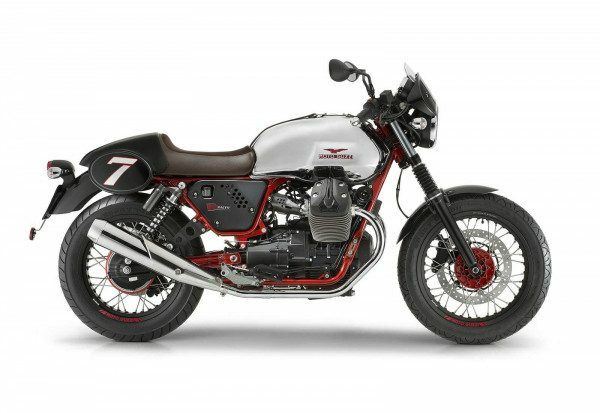 The absolute champion of the modern cafe racers is the Moto Guzzi V7 Racer. With no doubt one of the best looking bikes you can buy. It’s characteristic (grumpy and bumpy), high torque 744cc v-twin puts out around 48hp and is powered with a shaft drive. 48hp doesn’t sound like a lot, but when you look at the dry weight of 179kg and consider the torque of 43Nm, you know that’s it’s a lot of fun to ride. And then that sound….! Count on a lot of neck-twists when riding this beauty! The VII model (2015 and up) has more power and some new features like ABS, traction control (! ), 6 gears and a better weight distribution. Also the other V7’s (V7 Classic, V7 Stone, V7 Special) are cool retro bikes. The custom parts list is extensive and expensive, but why change this beautiful design? PS. I actually have a 2014 V7 RAcer and one thing is for sure: it’s an awesome ride! Another “heavyweight” champion between the modern cafe racers is the Triumph Thruxton. We’ve set this one at 2nd place because the fact that the bike is actual very heavy for a cafe racer: the dry weight is 214kg. Despite the fact that the 865cc parallel-twin has more power (69hp and 51Nm) than the Guzzi V7 Racer, it has also more “fat” to move. Beautiful design, powerful engine and lots of ways to personalize it. Not only a great choice for those who just want to buy-and-ride, it’s also a bike custom builders like to work with. 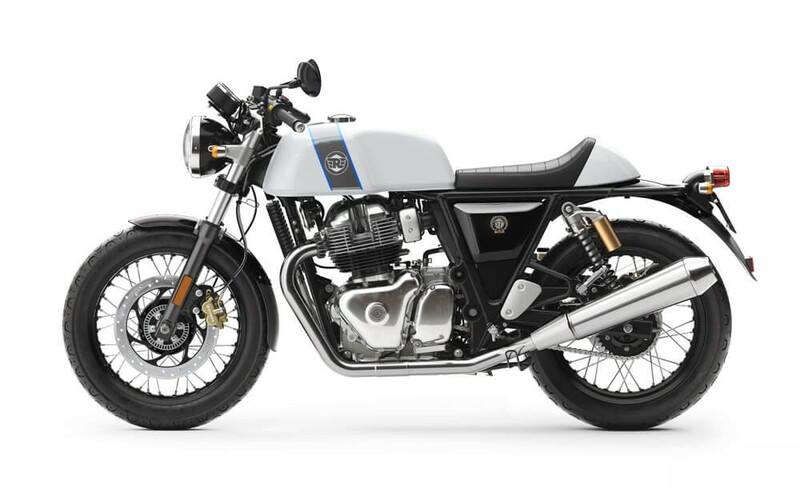 Almost 50 years after the introduction of the Royal Enfield, they’ve now got an answer to the demand for modern cafe racers: the Continental GT. Its single cylinder engine with 535cc puts out 29hp and 44Nm to move the 184kg of dry weight. Not the fastest modern cafe racer, but it’s got the looks, the sound, the ride is good and the single cylinder torque makes it a desirable bike. And at a price of $8,300, not too expensive. 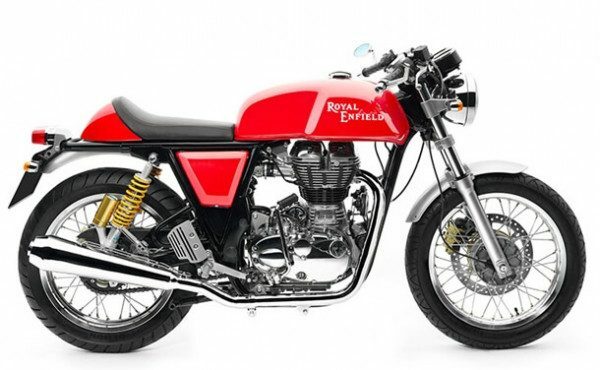 In 2017, Royal Enfield presented their all-new 650cc twin cylinder engines with a 270-degree crankshaft; the rebirth of the parallel twin. 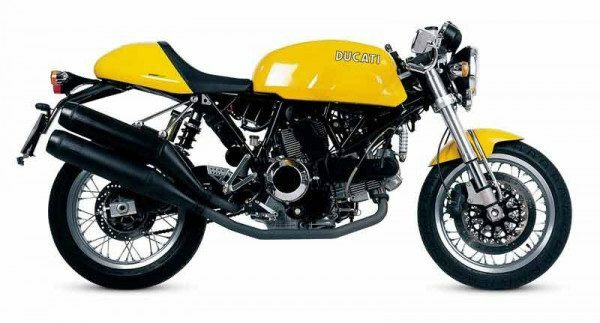 The Ducati Sport1000 is a direct inspiration of the 1973 Ducati 750 Sport with a typical one seated cafe racer look. For t a stock price of $12,995 you got a lightweight bike with adjustable suspension, USD front fork, Brembo brakes and a powerful 2 cylinder engine. The remarkable 992cc L-twin puts out an awesome 92hp and 90Nm. Considering the weight of 179kg this thing goes like a rocket! Too bad that they’ve stopped the production of this awesome modern classic in 2009 and that there aren’t a lot of used models to find. 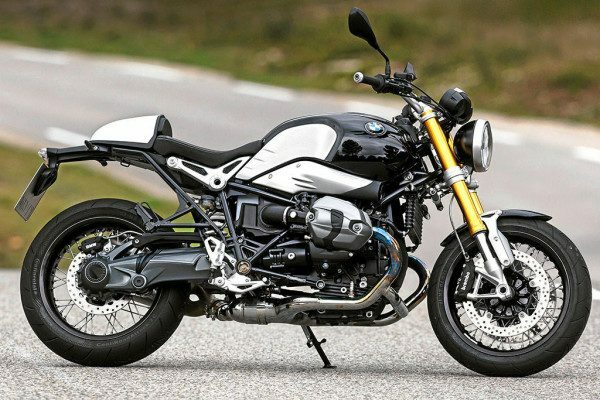 In 2014 BMW came up with an answer to the modern cafe racer: the awesome BMW R nineT. 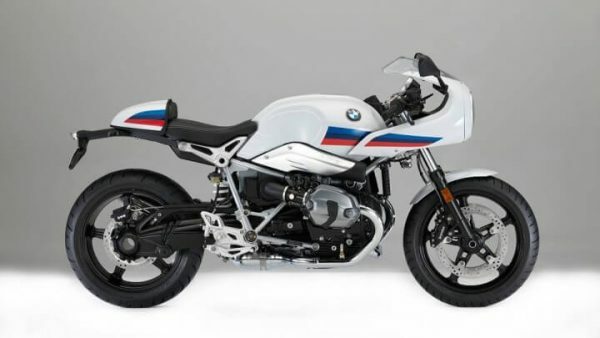 The price of almost 15k is high, but you get a lot for that: adjustable USD fork & rear shock, Brembo brakes (with ABS), single seat and classic cafe racer rear end, beautiful wired wheels and a powerful BMW boxer engine which transfers al the power to the rear wheel with a shaft drive. 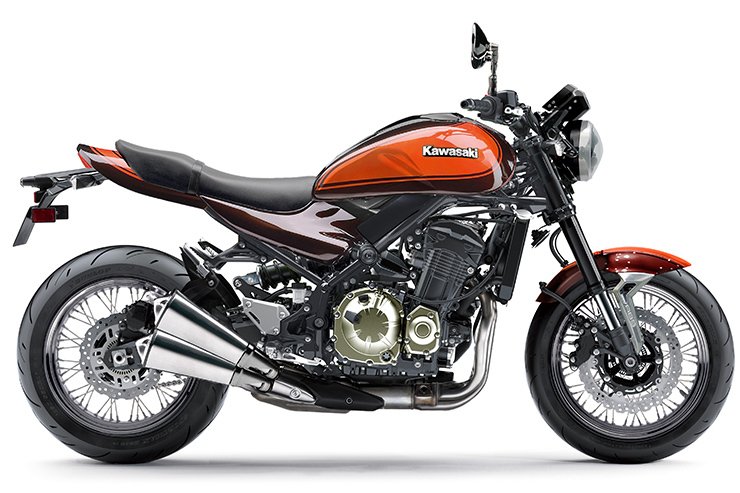 The air-cooled 1170cc boxer engine is good for 110hp and a crazy torque of 119Nm. With a dry weight of 222kg it’s sure is not the lightest, it’s handling and power makes it feel lighter than you expect. 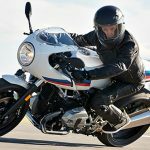 The R nineT is also a good bike for daily use. The number 7 on this list is a bonus, merely because of its exclusivity and price. 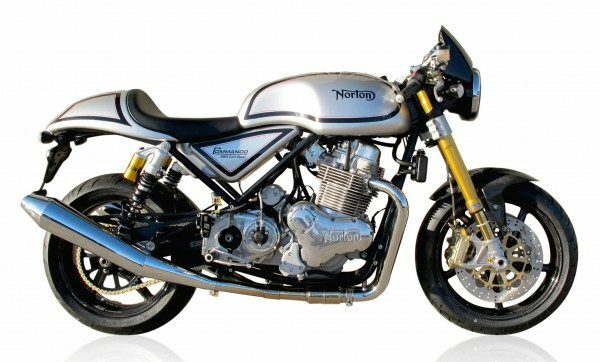 The Norton Commando 961 is a cafe racer with pure cafe racer blood, taking you back to the original Commandos. It’s air-cooled 961cc 2 cylinder engine has 80hp and 90Nm to move 202kg of dry weight. The bike comes with state of the art parts like Brembo brakes and Öhlins suspension. 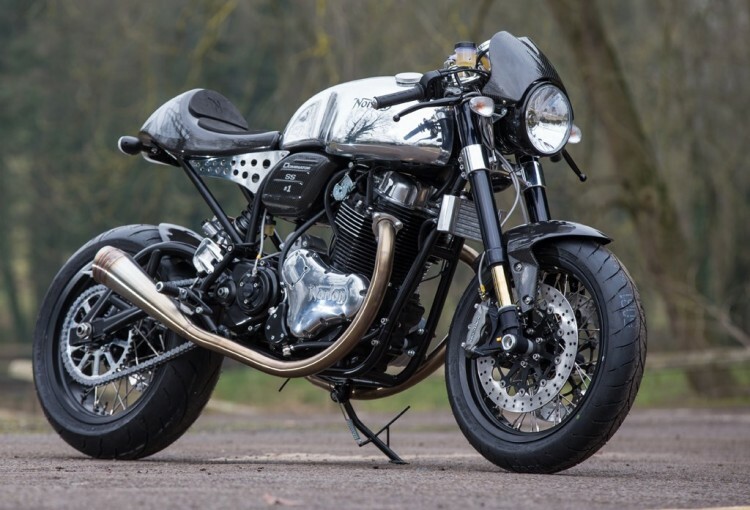 Maybe even more desirable than it’s brother is Norton’s brand new Norton Dominator. 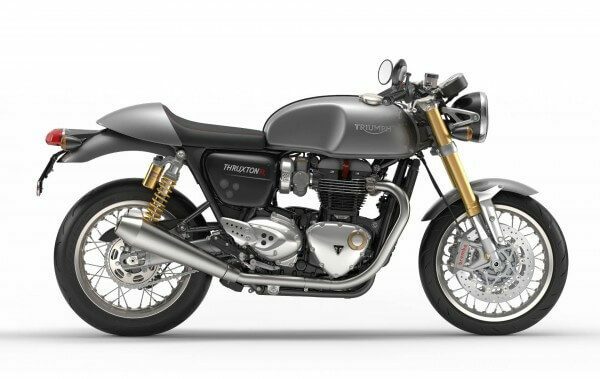 Some say that the new Dominator is a direct answer to the Triumph Thruxton R. If you take a straight comparison, the Thruxton takes over the Dominator with its performance. That’s not a problem at all, because that Norton is way more exclusive; a handmade polished gas tank, carbon fiber seat, mudguards and covers, a big fat black Öhlins USD fork with Brembo Monoblox, a Öhlins TTX36 in the rear and all those other details… Beautiful, but unfortunately for most of us, unreachable. 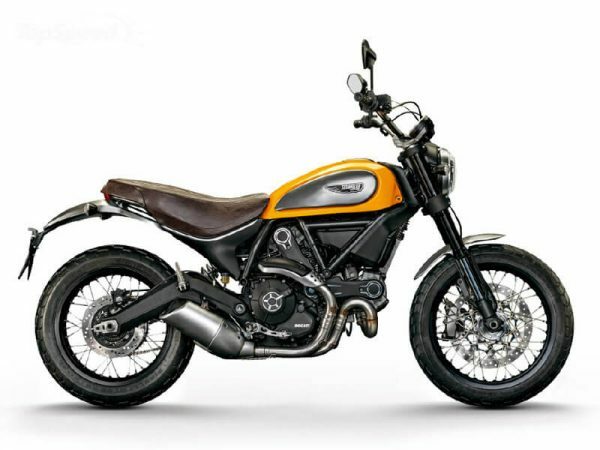 The Ducati Scrambler (or Scrambler Ducati like the Italians call their bike…) is a real modern classic inspired by the lightweight Ducati Scramblers from the 60’s and 70’s. Although they don’t want to call this retro bike a retro bike… The Scrambler is put down to the bare essentials of motoring but has high-quality parts like Brembo brakes with ABS, LED lights and Kayaba suspension. The bike comes in 4 different trims: the Icon, the Classic, the Urban Enduro and the Full Throttle, each with a different styling and options. Its 803cc air-cooled L-twin puts out 75hp with 68NM torque, and is taken from the Ducati Monster 796. The bike weights only 170kg which gives this bike a huge fun factor. No to mention the price under 10 grand. In 2017, Ducati introduced a specific Cafe Racer trim based on their Scrambler to fill in an important gap in their sales brochure. 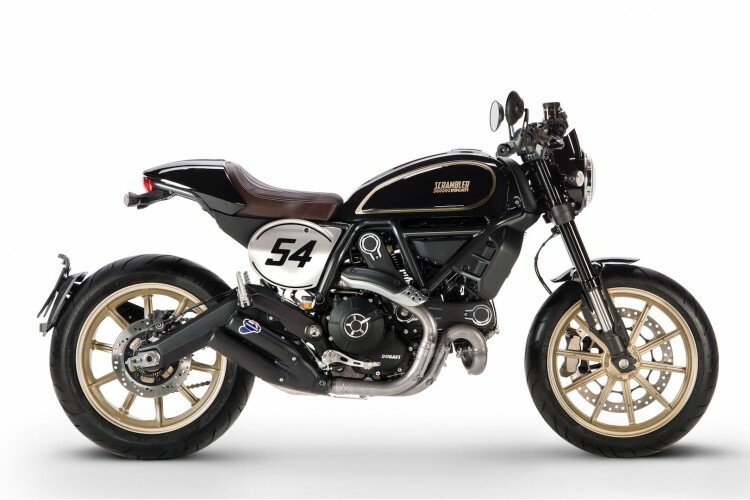 In addition to the standard Scrambler (Full Throttle), the bike has some dedicated cafe racer features like: clip on handlebars, short seat and removable cowl, black adonized mufflers, bar end mirrors, 17″gold cast wheels with Pirelli Diablo Rosso II tires, a radial brake pump and stiffer suspension. And last but not least: a beautiful classic black/gold color scheme based on the old days of the 1980 Ducati 900ss. Best of all is, of course, the 2 cylinder engine we already know. Triumph smelled the success of the Thruxton, which is on the market from 2004. To attract a different audience, they’ve launched the Scrambler in 2006. 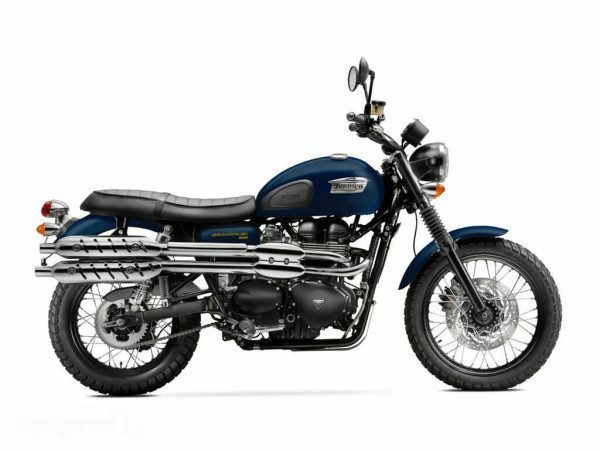 In fact the Scrambler is based on a Bonneville with (limited) off-road capabilities and a heavy-duty look (just like a scrambler is meant to be). Just like the Thruxton, Triumph has a wide variety of custom parts and accessories to personalize it. The 865cc parallel twin has 54hp and 69Nm. Not a fast bike with the 214kg dry weight, but sure good for a lot of fun. 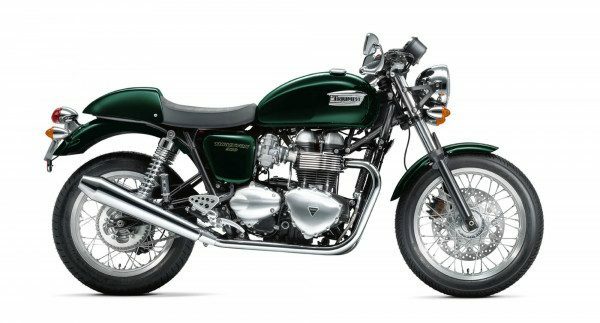 The Kawasaki W800 is becoming a modern classic icon too. A real modern classic a it’s best. Lot’s of chrome, spoked wheels, long buddy seat, rubber pads on the gas tank etc. The W800 is powered by a 773cc parallel twin with 48hp and 60Nm. Don’t expect a fast runner: the bike has a dry weight of 216kg, but with lots of torque in low RPM’s, it’s a real yesterdays cruiser. 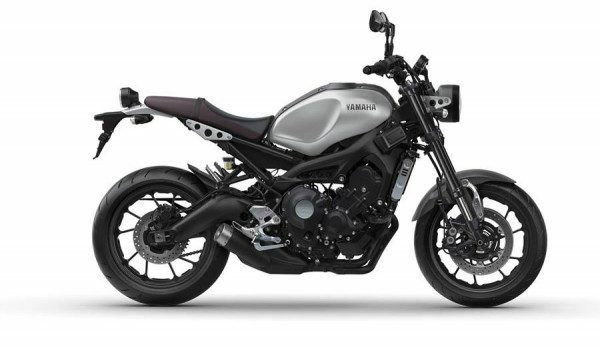 A modern classic based on the Yamaha MT-07. Fitted with a smooth and torqy parallel twin with Yamaha’s “crossplane” technology. The bike is relatively light and puts out 74hp and 68Nm. This bike is built to customize and Yamaha offers a wide range of custom parts and upgrades. Also check out this really cool custom Yamaha XSR700 Scrambler. Stock price: starting from $10,500. Another modern classic from the Japanese front: the Yamaha XSR900. 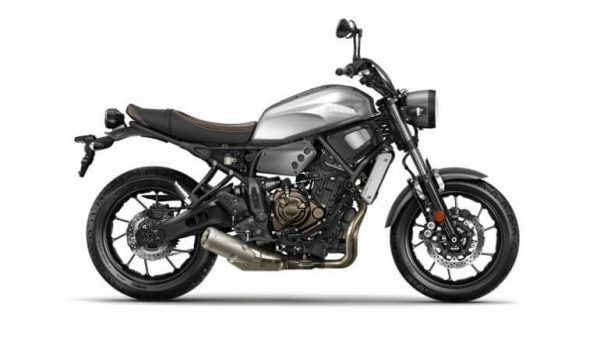 Same looks and identity as the XSR700, but with more high-end parts en features and the powerful 3 cylinder engine from the MT-09 (FZ-09). The XSR900 has adjustable suspension, a USD fork, radial (sport bike spec) brakes, ABS, adjustable Traction Control and Ride-by-Wire. The smooth and powerful 847cc engine delivers around 110hp and 87Nm of torque (final specs not yet released). 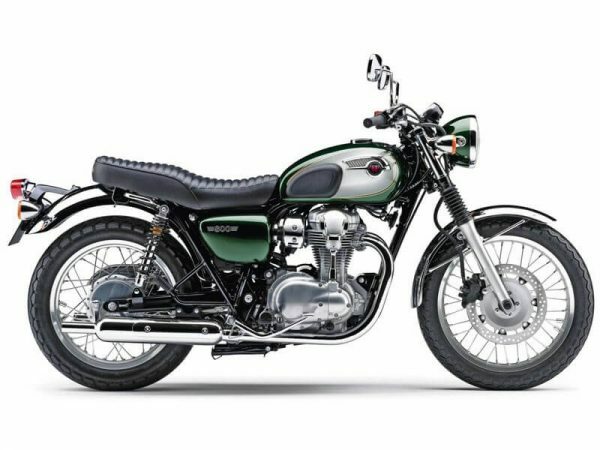 Inspired by the legendary Kawasaki Z1, Kawasaki revealed a new retro bike in there line-up for 2018. Unfortunately, we don’t have a full list of specs yet, but the technique comes for the Z900, which has a 948cc four-cylinder on board. Kawasaki says that the engine is tuned down from 125 to 111hp to deliver a smoother power band below 7,000 rpm. Other highlighted specs are: fully adjustable 41mm front fork, adjustable rear shock, wave discs, traction control, ride-by-wire, For that real vintage feeling, the Z900RS has a beautiful set of laced wheels. 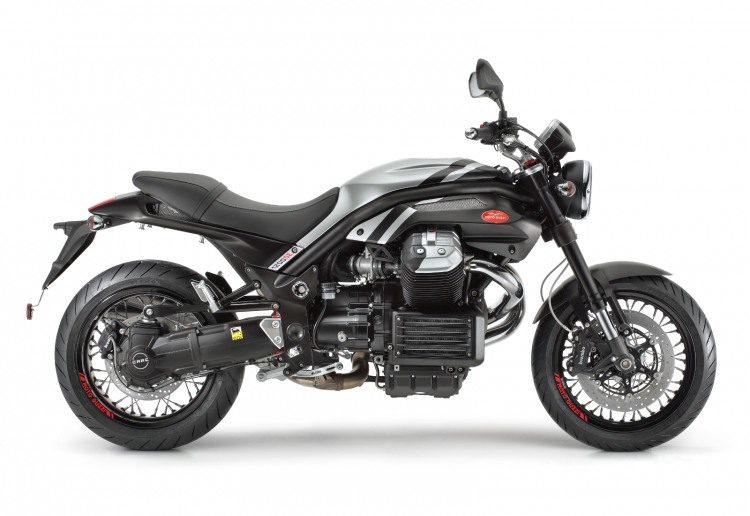 Listed number 14 since it was not listed earlier but definitely deserves a spot on this page; the Moto Guzzi Griso. A bike that was introduced back in 2005 as an air-cooled 90° 1100cc V-twin with around 81hp. Later on, 850cc and 1200cc models followed with the 1200 being one of the most popular machines and still is going strong (and showed on the picture). This pretty machine has 110hp and is stuffed with high-quality parts. And the ride? Powerful, smooth, torquey. Well, just try it! And? Which one is your favorite? Do you have a favorite modern cafe racer or did we missed one? Let us know and reply! I’d go with an XSR 900, or (not on your list) Honda CB1100. The latter has gotten cheap. Good motor, though about a hundred pounds too heavy that’s the case with most of these bikes. Seriously Triumph, spend a few bucks on engineering, you’re turning out bikes with less than 80 hp and around 550 lbs of weight. Get real! 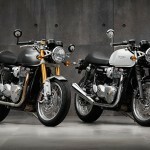 Triumph did a real good job on the new Thruxton, the old version indeed is too heavy. Doh! I didn’t read the last sentence….and yes, you’re completely right. That’s not a real modern cafe racer isn’t it Thomas? Great write-up! What is your take on HD Street 500? BMW R nineT Racer is like a good old wine bottle. I would give my life for a ride. You’re absolutely right about that! Let’s add it in the next update of the post. You forget the best base to build a cafe racer! I transformed five 1050 triple speed, and the success has always been incredible ….